What's some of your favorite memories from childhood? My childhood was a mixed bag of good and bad.. great memories and not so great..My family fought a lot over me.. custody and all that stuff but some how along the way... 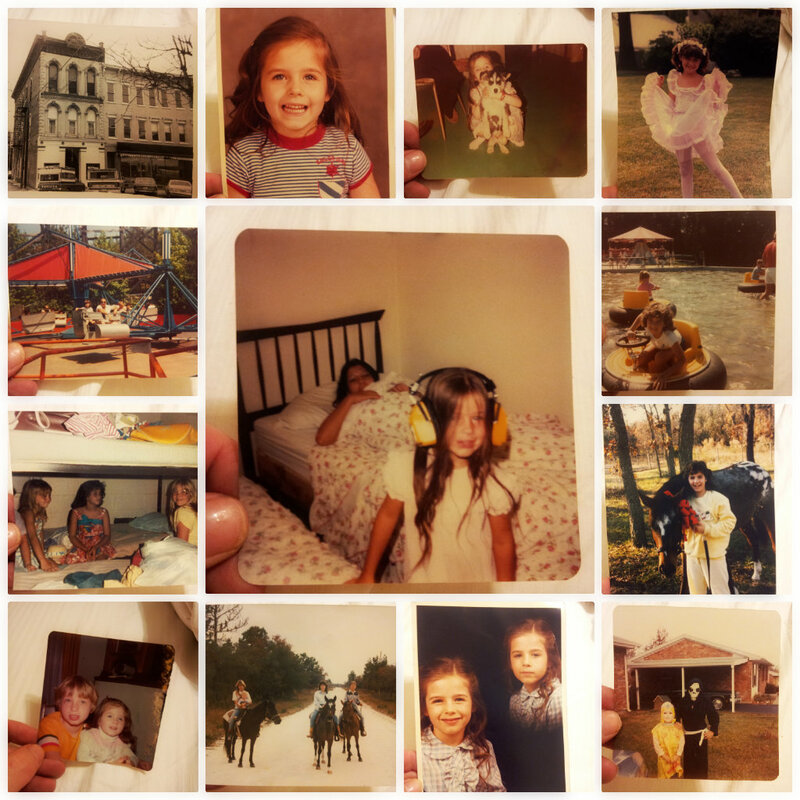 I had a pretty good childhood! From top left.. around the picture.. I started out growing up in that downtown apartment. My memories have faded some but I still remember having a great time running through that apartment.. All 3 floors was ours! I had a great time in my early years of school.. and I still remember that little dress! That was my first dog!! My mom got him for me.. that was sparky! I got signed up for every class imaginable but I seemed to like ballet more than all the others.. I think it was the cute little outfits! My family was known for many trips to the amusement parks.. and I made a ton of memories in all those fun places! I think I visited Holiday World more than any of the others.. OMG... Do you remember Holiday World! LMAO!! I don't know if its still there or not.. but it was a regular hangout for me growing up! I think I was 13 when my mom got me my first horse.. It was a freaking awesome gift.. I named him jingle bell because he was a Christmas Present after all! I made a ton of great memories trick or treating with my brother Jeremy. Little did I know at the time how much I would cherish those memories.. He died at 24. Those ruffly plaid shirts was a fun memory.. because I wore them all the time that year! Still love plaid! There we all are riding those horses. We had such a good time that year. I think I had rode horses more than year than rode in a car! There is my brother and I .. when we were little! There I am at church camp.. in the red dress. I made a lot of great friends that year! And there is my grandfather and I on a ride at one of those amusement parks. I made a TON of great memories with that man..
And finally the picture in the middle is of my mom and I. Its one of my favorite pictures of all time! I don't know if you can really tell in this picture but she is smiling ear to ear! Growing up she was the fun mom. She always made me smile and did things with me that no one else ever did. Guess that's what moms do huh!? She still makes me smile every day! 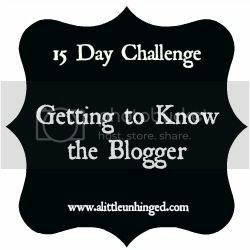 4 comments on "15 Day Challange - Getting to know the Blogger - "
Thank you guys so much!! It always so much fun doing these link ups. And @ Bonnie.. sorry for your loss. Its never easy loosing someone you love.